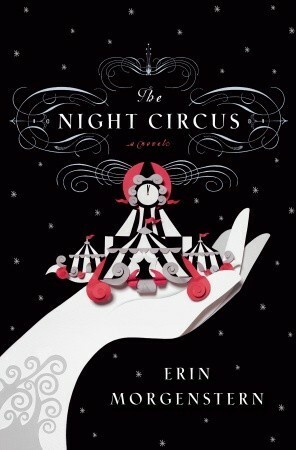 Erin Morgenstern morphs poetry into novel with her book, The Night Circus. With wonderful analogies, a complex cast of characters, and a plot that is tied together by string and folded paper, The Night Circus is a truly magical book that promises the stars and delivers the sky. One of the main characters (though it is hard to choose which characters are considered 'main' because each character has a delicate role in the book) is Celia Bowen. She's the daughter of Prospero the Enchanter, an astounding magician whose magic was real but made to look doubtful in performance. Celia has inherited his talent for enchantment and is set up to be the next player in Prospero's games. Celia is a three dimensional character with hopes and fears. She's full of joy, yet held back by being forced to play a game where there is no rule book. Celia's a bit naive, but very intelligent. Readers will connect with her through her desire to love and find love and also the want to make her father proud in the competition. These down to earth desires make Celia the Illusionist quite relatable while her magical abilities set her apart. Marco Alistair is the second main character, opposite Celia in the complex game of magic abilities. He was found by one Mr. A. H---- in an orphanage and raised solely to be in the competition. Always studying magic, Egyptian glyphs, charms, and anything else he could as a child, he grows up to face down Celia. Though the two magicians don't start off knowing their opponent, The Night Circus is the venue of the duel. Marco is an unreliable character, but not in the dependable sense. He changes his appearance, tends to stay in the shadows, and can manipulate reality. Readers won't know whether to trust him or run from him. But as the story and the competition evolves so does Marco. As he falls in love with Celia, all bets for the competition are off as there can only be one left alive at the naming of victor. I think readers will have a hard time creating bonds with Marco, but will still love him. He's unsure of himself, giving, hard working, and has a beautiful imagination. The plot of The Night Circus is twisty-turvy, to say the least. The duel between modern magicians is a fascinating idea, but the story spans years and each chapter brings on a different time frame. This makes it harder than usual to create a timeline in readers' minds. It takes great effort to keep everything straight and I feel like this will muddle up the story for some readers. Though I still would highly recommend it for everyone and anyone who likes magic and/or fantasy. A new world is built within the tent stripes of The Night Circus and everyone must buy their ticket. I finally got this book after months of wanting to read it. Now I just have to find the time to get to it! My TBR pile is teetering now! Glad you enjoyed it, nice review!